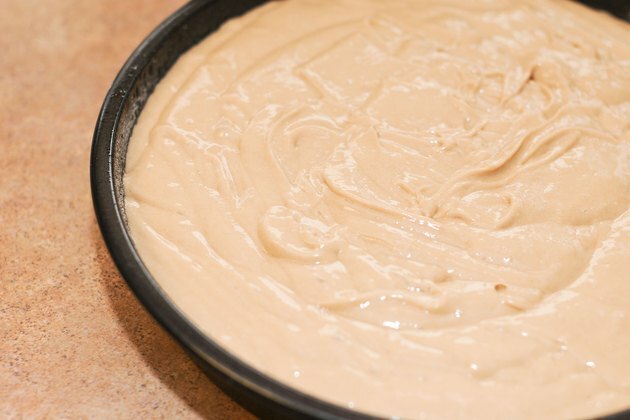 Incorporating soda into cake batter is a quick way to add flavor and replace other wet ingredients if you don't have them on hand. For vegans, soda can replace eggs in a cake mix recipe. It can also lower the fat content of a cake by replacing oil as well. The carbonation in soda imparts lightness to the cake and many different flavor combinations can be achieved with a little creativity. 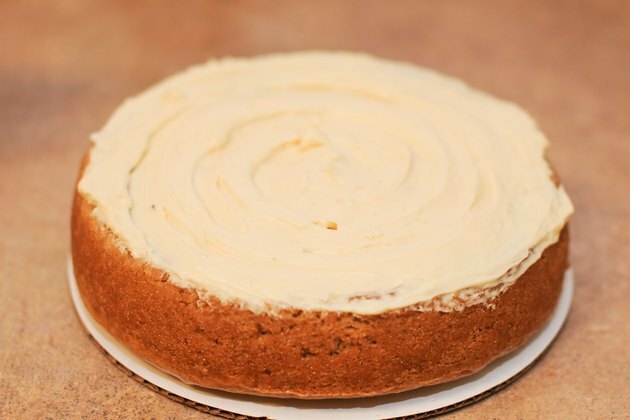 Perhaps the simplest way to bake a cake with soda is to use a cake mix. This method limits your ingredient list to two common items found in many kitchens and will have a dessert on your table in less than one hour. Pour the cake mix into a medium-sized mixing bowl. You can use any cake mix flavor or brand for this recipe. 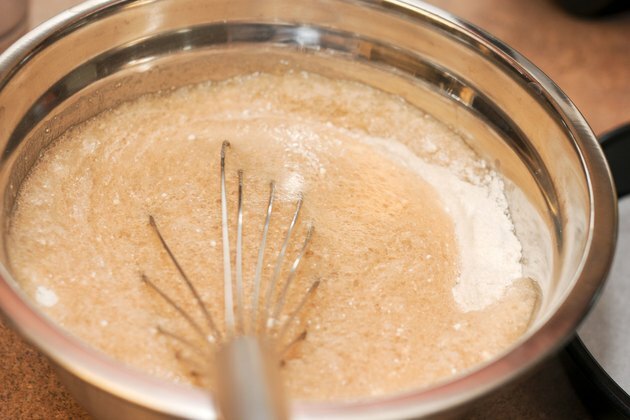 Mix 10 ounces of soda into the cake mix using a mixing spoon or whisk. Mix until combined. Soda replaces the other ingredients normally required when making a cake with a mix, such as eggs, water and oil. 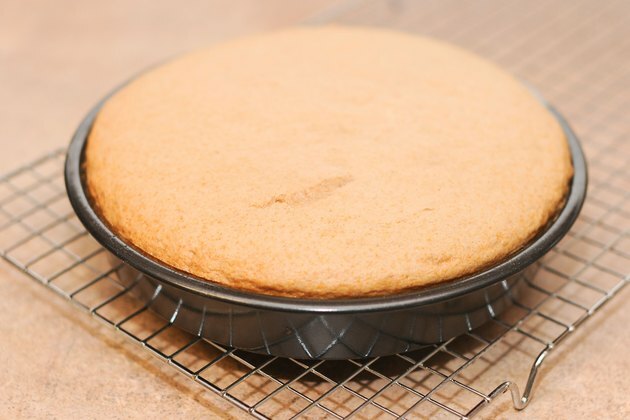 Pour the cake batter into a cake pan that you've sprayed with nonstick spray. You can bake your cake in a 9-inch round pan or a 9-inch by 13-inch rectangular pan. 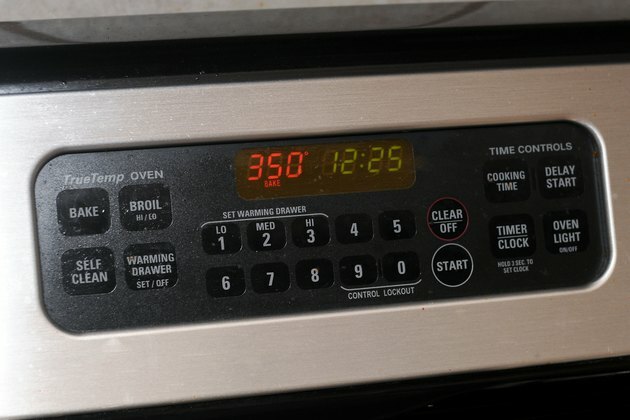 Bake your cake for the amount of time required on your cake mix box, usually 20 to 35 minutes. 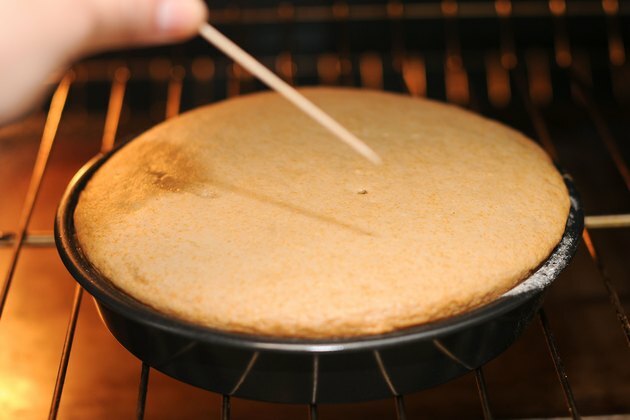 Test your cake for doneness by inserting a toothpick or knife into the center. If it comes out clean, it is done. Cool the cake on a cooling rack and frost if desired. Do not over-mix your cake batter. Over mixing cake batter makes the cake tough and eliminates the lightness and fluffiness that you want in a cake. Typically, using light colored sodas with light colored cake mixes and dark sodas with dark cake mixes work best. You can use a dark soda with a light cake mix and the flavor will be fine, but the color will be darker than normal. 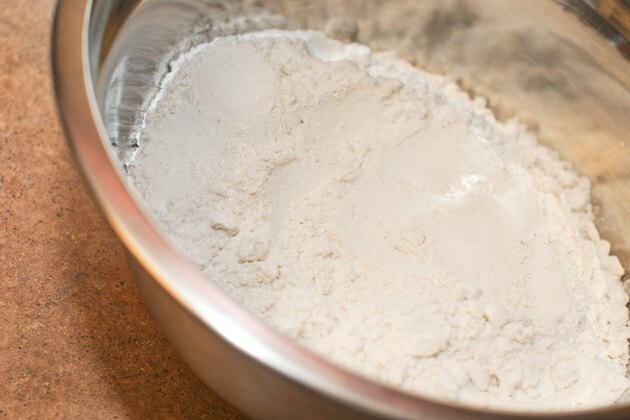 What Happens if You Do Not Put Baking Soda in a Cake? What If Soda Commercials Were Honest? How Many Calories Does Soda Have?